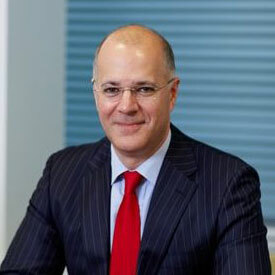 Mr McDermott qualified from St Bartholomew’s Hospital in 1992, and after completing his specialist training in London he was appointed as a Consultant Orthopaedic Surgeon in the NHS in 2005. In 2008 Mr McDermott founded the London Sports Orthopaedics practice, and he now works exclusively full-time in the private sector. In 2003 Mr McDermott was awarded the President’s Medal of the British Association for Surgery of the Knee (BASK) for his research into meniscal repair. In 2004 Mr McDermott was awarded a Master of Surgery higher degree by Imperial College, with a thesis on meniscal transplantation. Mr McDermott was the first surgeon in the UK to implant a Conformis G2 custom-made knee, and he is now part of the Conformis Surgical Visitation Programme, teaching other surgeons the techniques for implanting custom-made knees. Mr McDermott was the first surgeon in the UK to use Vivostat PRF biological glue in knees (for fixing articular cartilage grafts and meniscal transplants, and to promote tissue healing, as well as for reducing pain and swelling in knee replacement surgery), and he is now a designated ‘Centre of Excellence’ for Vivostat, for training other surgeons. Mr McDermott is also one of the UK’s leading experts in the field of meniscal allograft transplantation, and he has been awarded ‘Centre of Excellence’ status by Hospital Innovations as a training centre for meniscal transplantation. Mr McDermott is currently the President of the UK Biological Knee Society. From 2003 to 2004 Mr McDermott was the President of the British Orthopaedic Trainees Association. In 2004 Mr McDermott became the youngest ever surgeon to be elected as a Council Member and Trustee of the Royal College of Surgeons, serving a 6-year term of office. Mr McDermott has sat on the Council of the British Orthopaedic Association (BOA) and he has also sat on the Professional Practice Committee of the BOA. Mr McDermott has been a Board Member of the Federation of Independent Practitioners Organisations (FIPO) since 2004. Mr McDermott is now the Managing Partner of the London Sports Orthopaedics practice. Mr McDermott has published extensively in the scientific literature, and has given numerous presentations at national and international scientific meetings, including many invited lectures.